While florals may be a perennial trend for Spring, designers have revisited these beautiful blooms with intricate intensity and darkly seductive grown-up allure. Petals can pack a punch. 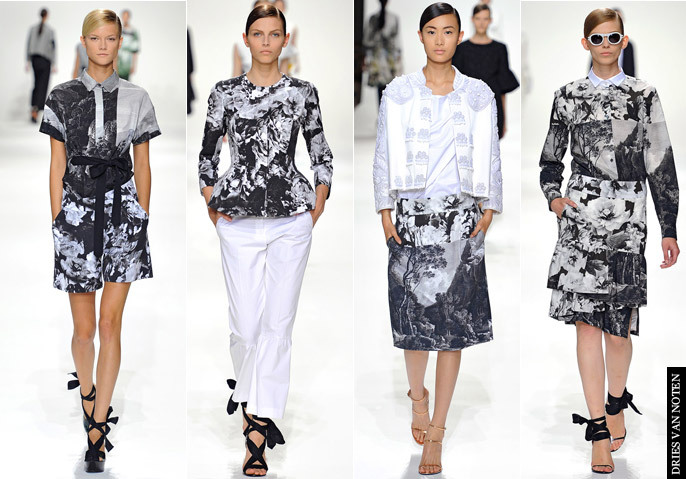 From oversized buds to mismatched florals, the Spring / Summer 2012 runways offered a delightful ‘bunch’ of unexpected prints and textures. 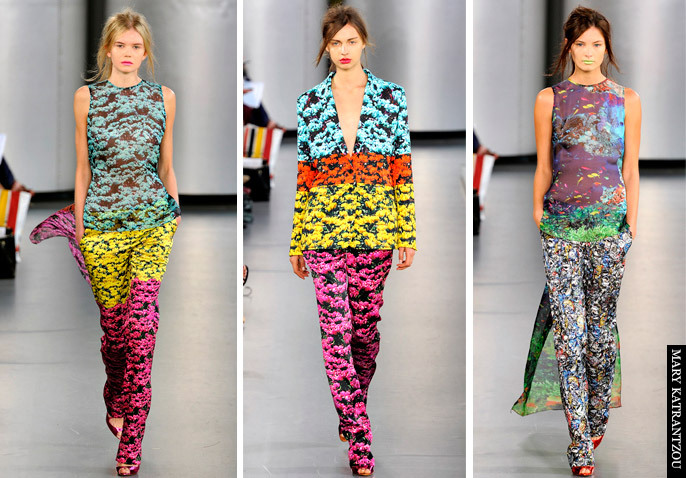 Mismatched floral prints screamed of offbeat beauty at Mary Katrantzou; while at Christopher Kane flowery organza shift dresses and coats were the epitome of feminine chic. 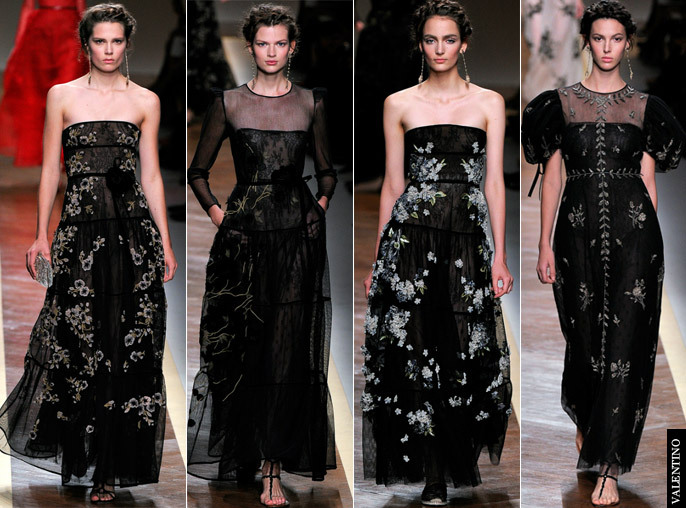 However, for a darker romanticism, floral prints went monochromatic at Valentino, Dries Van Noten and Alexander Wang. While subtler then their colourful counter parts, these prints had a haunting beauty. 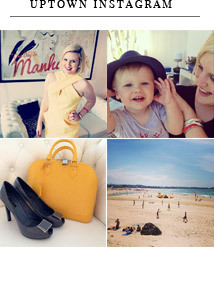 Vivid coloured blossoms, bold prints and artistic patterns are truly enchanting – especially on trousers. 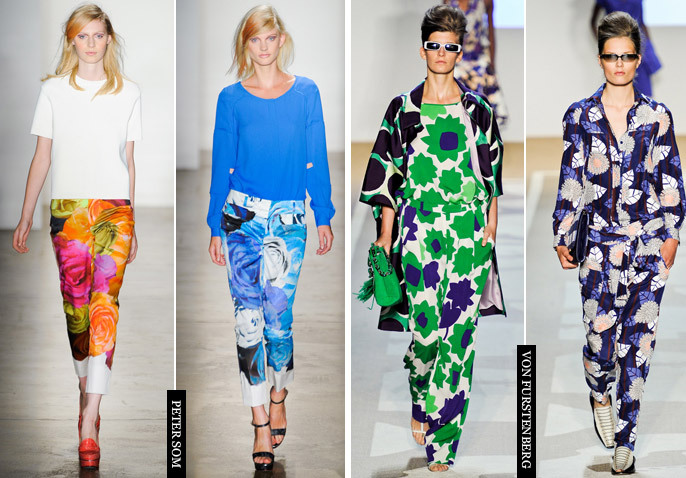 This season both on and off the catwalks, printed trousers have become the go-to for effortlessly chic dressing. Making an appearance during the Autumn / Winter 2011 shows (from Jean Paul Gaultier to Dries Van Noten); printed pants went on to hit a catwalk high note for Spring. 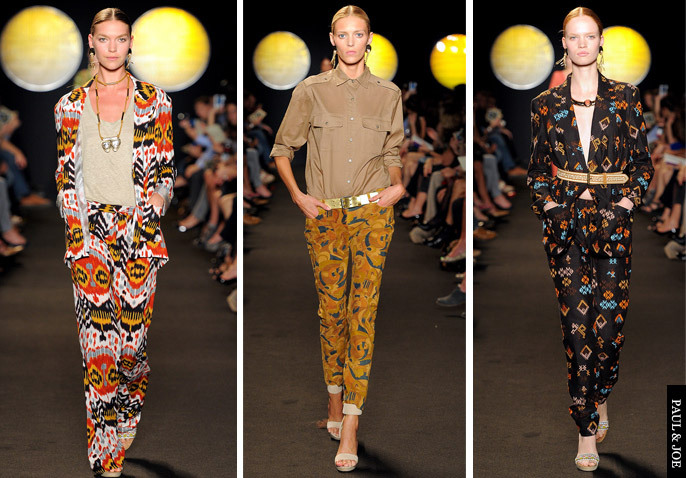 From Isabel Marant to DVF, Paul & Joe and more; printed trousers struck a pose with panache. Banish your thoughts of ghastly prints in oversized unflattering shapes – this trend is all about modern polished elegance. With a focus on clean lines and refined cuts, printed trousers in sharp silhouettes look nonchalantly cool yet surprising elegant. Tailored cigarette pants or capris (finishing just above or on the ankle) should be well-fitted for ‘glamorous,jet-setting style’ (a la Isabel Marant). While wide palazzo pants (as seen at Paul & Joe) or silk wide-leg harem styles (from Diane von Furstenberg) are equally alluring. Wear with a crisp white shirt for fresh sophistication or highlight a tone from the print with a simple, relaxed tee. A loose silk blouse in a neutral shade will also look beautiful. From effeminate watercolour splashes to intense tribal prints – luxe shapes in exquisite colour is a Spring focal point. 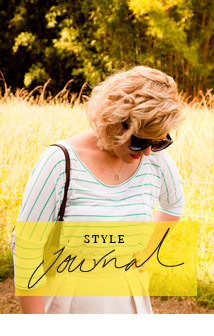 For Spring / Summer 2012, fashion takes a masterclass from the world of art. The Spring / Summer 2012 collections were ablaze with artistic references. 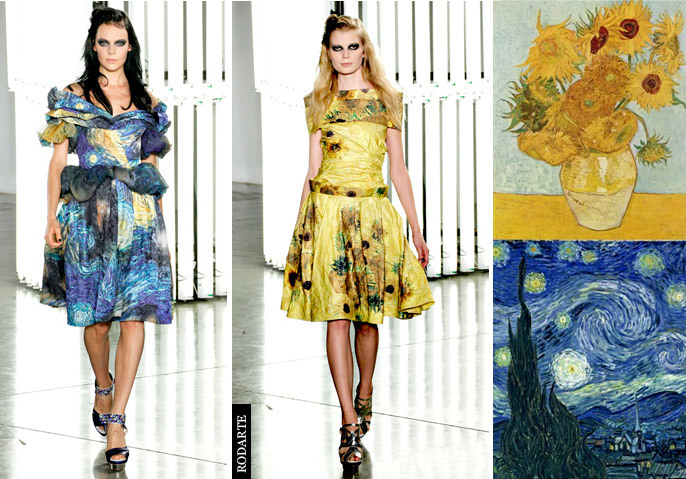 At Rodarte, Vincent Van Gogh’s ‘Sunflowers’ and ‘Starry Night’ were exquisitely printed onto 50’s inspired dresses, creating breathtakingly beautiful & quite simply stunning result. Giles Deacon drew inspiration from Andy Warhol’s ‘Silver Clouds’. Raf Simons equally created an extraordinary fashion-art moment when he turned to Picasso ceramics for a modernist take on knitwear at Jil Sander. Sculptors were also a great reference of inspiration. At Burberry, Christopher Bailey found inspiration in the work of sculptor Henry Moore. While Mary Katrantzou explored the work of John Chamberlain’s crushed-car sculptures. Aluminium cans substituted for car parts in her beautiful abstract creations. Minimalist sculptor, Richard Serra’s metal structures were the starting point for Nicole and Michael Colovos first runway collection for Helmut Lang. Meanwhile, Dries Van Noten collaborated with photographer James Reeve, using imagery from his Lightscapes series.